Eridu is considered as the city of the gods in ancient Mesopotamia, much like Teotihuacan located in Mesoamerica, which is considered as the city of the Gods. The Sumerian King List states that Eridu was the “city of the first kings,” stating: “After the kingship descended from heaven, the kingship was in Eridu”. 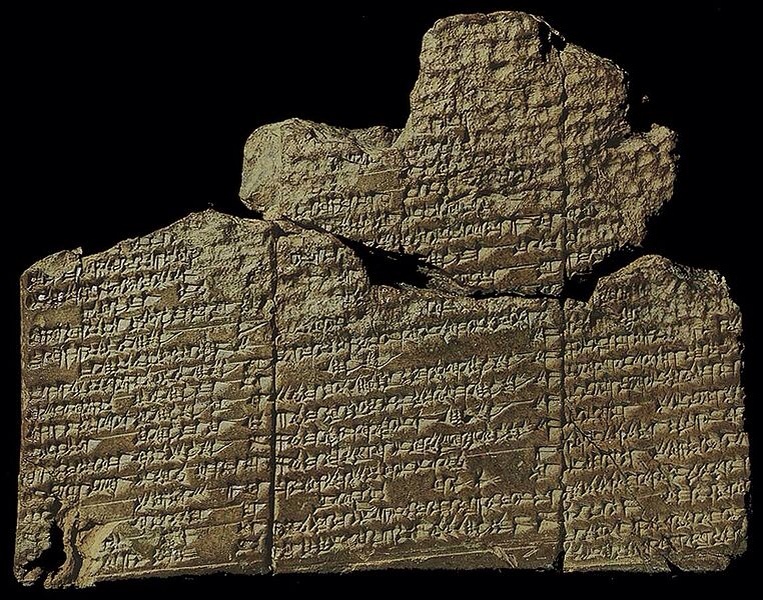 The Eridu Genesis is an ancient Sumerian Text which describes the creation of the world, the invention of all ancient cities and the Great Flood that swept across the land. The Eridu Genesis, which is believed to have been composed circa 2,300 BCE, is the earliest known account fo the Great Flood, predating the more popular Great Flood described in the biblical book of the Genesis. A fragment of The Eridu Genesis. If we look back at Sumerian texts and their well recorded ‘mythology’, we will find that in the beginning, human-like gods lived and ruled on Earth. When they ‘arrived’ to our planet, much work was needed to be done as they toiled the soil, digging to make it habitable and extracted the precious minerals from the Earth. Ancient Sumerian Tablets mention that just before the Great Flood swept across Earth, the ‘Gods’ left our planet to be safe in the heavens returning only after the end of the Great Deluge. But… why is that some parts of the stories are plausible while other parts of it—like when ‘Gods’ flew to the heavens—are considered improbable? Interestingly, the story of Noah—the most popular story of the flood probably—illustrates similar stories as those seen in the Epic of Gilgamesh, which predates the Bible. Other flood stories found among different cultures around the globe display similarities to the Sumerian story: ie. The story of the Dravidian king Manu in the Matsya Purana, Utnapishtim episode in the Epic of Gilgamesh and the Genesis flood narrative found in the Bible. Interestingly, the ancient Greeks have two similar myths from a later date: The Deucalion and Zeus’ flooding of the world in Book I of Ovid’s Metamorphoses.